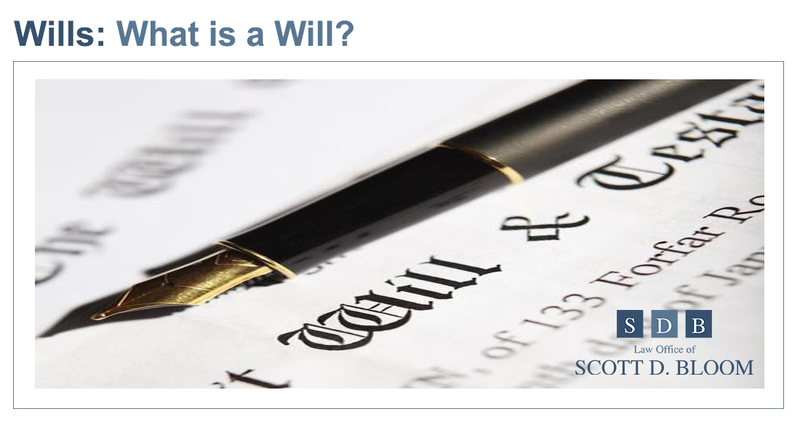 • A will is an estate planning tool–a legal document–which is used to manage the disposition of assets after the person who created the will (the testator) passes away. In addition, a will can be used to name guardians for minor children. 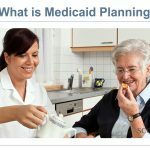 • A living will documents your wishes for medical care in case you cannot make decisions for yourself. • A will appoints an executor, who will take charge of your estate after your death. You can name co-executors. A will directs the disposition of your estate after you die. Your will designates beneficiaries who will receive your estate’s assets as directed by your will. A probate court, in conjunction with your executor, will ensure your wishes are carried out. Probate court proceedings are public. Anyone can have access to information about your estate and the details of your will. A will is fairly simple to prepare. 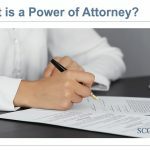 Attorney fees for preparing a will is usually less than preparing a trust. A Living Will, also called an advance healthcare directive, documents your healthcare wishes in the event you cannot communicate your wishes. A Living Will is highly recommended since it leaves no question as to your instructions about your medical care if you become incapacitated. It’s desirable to have a will in place. If you don’t, you will be deemed to have died intestate and state law will determine how your estate is bequeathed. Even your closest, most trusted family members will have no say in your estate’s dissolution. The state in which you reside will appoint an Administrator for your estate. A probate court to oversee what happens to your assets. The Administrator will disburse your assets according to your state’s intestate law. It is possible that family members whom you’d normally leave out of your estate could inherit assets from you—if that’s what your state’s law says should happen. Beth and Richard were married for 35 years. They were both 55 years old, anticipating their retirement years when they reached 65–the golden years were in sight. Their youngest would be done with culinary school soon–the other two were all done with their education. Beth and Richard still had plenty of time to replenish savings, somewhat depleted because they helped their kids with school expenses. Unfortunately, Richard suffered a massive heart attack just after turning 55. Richard had been in good health, or so they both thought, and nothing warned them of his condition. It shook the family to the core, no one saw it coming. The sad reality of Richard’s absence was so difficult on Beth. With the help of her kids and friends she is beginning to figure out how to move on in life without him. It isn’t just Richard’s loss that she has to face–she has to face life without him financially. They both had talked about creating a Will or maybe a trust together and had been putting it off. Richard died without either one in place. Because of this, the financial path forward for Beth will be very challenging. She and Richard had talked their wishes to each other–many times–and never made anything official, nothing was in writing, not to mention in writing filed with an attorney. What both Beth and Richard had talked about in the past was leaving each other all of their assets–then leaving the remaining estate to the kids when the surviving spouse finally passed away. Beth made a bit more money than Richard, but they had always needed both of their incomes to make ends meet. A second mortgage on their home tapped the equity–it was used to help with the kids’ college expenses. They had figured on saving at least $50,000 per year for 10 more working years – then they would retire with their nest egg replenished. The couple had worked at various companies throughout their careers–they had a “collection” of 401Ks, IRAs that had accumulated from working at these various places. Richard’s IRAs and brokerage accounts’ total value are $180,000. Richard’s three IRAs were in his name only. He also had a brokerage account in his name only. Richard never went on the website for all of these accounts to input Beth as his beneficiary; Beth’s name wasn’t on file. Richard had a life insurance policy through his employer that would pay Beth $50,000. At least Richard had filled out the beneficiary form when he went through new hire orientation. What Beth has recently learned, is that she can’t touch any of Richard’s IRAs or the brokerage account. Without beneficiaries named on these accounts, these items will be part of the probate of Richard’s assets—the accounts are virtually under Pennsylvania’s control. Beth is learning the hard way that, in Pennsylvania, Richard died intestate. The term means that Richard died without a Will. Pennsylvania law dictates that Beth and the kids would split assets in Richard’s name. Beth is dumbfounded. Pennsylvania dictates this about Richard’s accounts: Beth will inherit the first $30,000, plus half of the remaining $150,000. So, Beth will inherit $30,000 plus $75,000 and the insurance policy. The three kids will split the remaining $75,000. The youngest child wants to take her share of Richard’s money. The other two want to give their shares to their Mom. The youngest’s decision is adding stress to everyone–on top of their grieving, it’s causing a bit of a family rift. Other estate fees will add up: probate administration fees to an attorney they’ve hired to manage that for them—no one has the strength to take that on at this point. The fees might be somewhere north of $5,000. There are a lot of “if onlys” uttered about Richard these days: If only Richard and Beth had their Will (or better yet, trust) in place; if only Richard’s financial accounts had listed Beth as the beneficiary; if only the financial accounts were in both of their names (or in a trust’s name). If only…then Beth would have received all of Richard’s estate. With a trust in place and all of the right titling in place, Beth would automatically have been in control of all of the IRAs and brokerage account. Beth can use every penny she can get. The kids have their whole lives ahead of them, $25,000 in a 20-year-old’s hands will get spent quickly; Beth can live a whole year on that $25,000–it seems unfair the State of Pennsylvania puts her kids on a level playing field–and there is nothing she can do about it. Beth is angry at herself and Richard for never making a will or trust a priority. She’s hopeful her kids will figure things out and will get along again. She really hopes her youngest will rethink taking the $25,000. Beth and Richard did everything for their kids; at age 55 she feels she’s earned the right to control her destiny and to have that security she always knew they’d both have as she and Richard grew old together. Right now, things are a bit out of control. Beth can only hope something will go her way very soon. HOW DO I KNOW IF A WILL IS RIGHT FOR MY SITUATION? A team of professionals is the best way to determine if a Will is right for you. 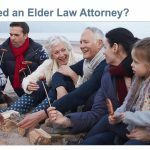 Start with an estate planning attorney. They will discuss all of the options with you so you can make the best decision for your needs. 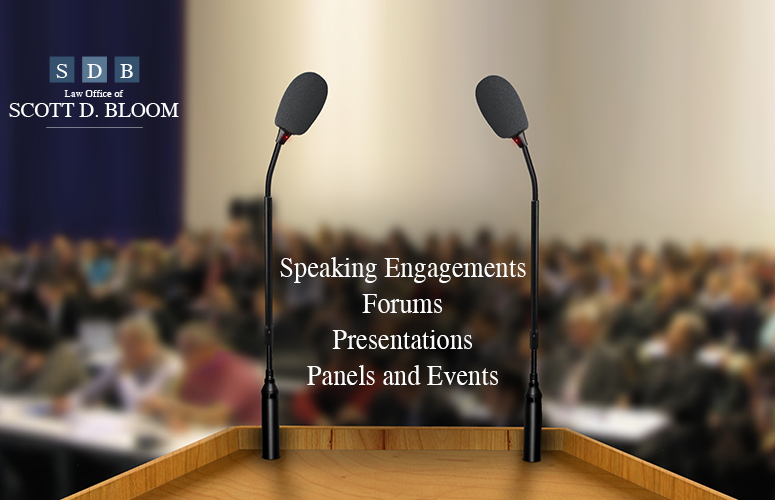 To identify the best type of will for your needs, talk to the professionals at the Scott D. Bloom Law office.